The term medical waste can be explained as any kind of waste that contains infectious material. They include waste generated from medical facilities such as hospitals, laboratories, veterinary clinics and so on. Medical waste can contain bodily fluids like blood and other contaminants. Medical waste disposal services involve the proper disposal of waste generated during medical research, testing, immunization, diagnosis, and treatment. A typical example of medical waste includes needles or scalpels, swabs, tissue, gloves, bandages, etc. These type of waste are hazardous in nature. There are other forms of medical waste that are not hazardous in nature. For instance, office paper, sweeping and kitchen waste from the healthcare facilities are classified as medical waste. The term “medical waste” can cover a wide variety of different byproducts in the healthcare industry. Here are the various forms of medical waste to be mindful of in healthcare facilities. Sharps. This is a form of medical waste that can pierce the skin. It includes needles, scalpels, broken glass, razors, staples, wires, lancets, ampules, and trocars. Infectious Waste. This kind of waste includes anything infectious. Swabs, tissues, excreta, lab cultures, and equipment fall under this category. Pathological. This category includes the human blood, tissue, body parts, fluids, and contaminated animal carcasses. Radioactive. This kind of medical waste generally means unused radiotherapy liquid or lab research liquid and other items contaminated with the liquid. Genotoxic Waste. This form of medical waste is highly hazardous in nature. It can include cytotoxic drugs intended for use in cancer treatment. Pharmaceuticals. Expired or unused injections/drugs, contaminated vaccines, and pills are grouped under this category. Chemical. This category includes disinfectants, solvents used for laboratory purposes, batteries and mercury from broken thermometers. Incineration. This method of medical waste disposal is used on pathological waste. 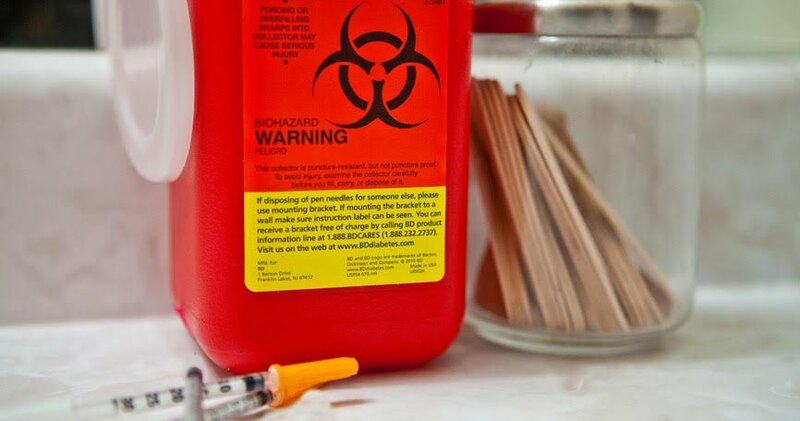 A medical waste disposal service professional uses this method to dispose of infectious medical waste. Autoclaving. This method has to do with steam sterilization. Research has shown that steam sterilization renders biohazardous waste non-infectious. After the medical waste is sterilized, professionals can easily dispose of the waste or incinerate it. Microwaving. This method of medical waste disposal is similar to autoclaving. This method of medical waste disposal service involves the use of high-powered equipment to heat waste. After that, the waste can be disposed to normal landfill or incinerated. Chemical. Applying reactive chemicals on some medical waste that are chemical in nature is another effective waste disposal method. This method is often used by medical waste disposal experts to dispose of medical waste. Biological. This method is quite different from the other medical disposal method mentioned earlier. In this method, medical waste disposal service professionals use enzymes to neutralize hazardous organisms. Now you know the different methods used by medical waste disposal services to eliminate hazardous waste. If you need to get rid of medical waste, be sure to contact an expert in the field.